TE37 Ultra Large PCD 20x9.5 0 6x139 Bronze One full set of 4 in stock! Volk TE37 OG 18x10 5x120 +41 Titanium Gun Metal One full set of 4 in stock. 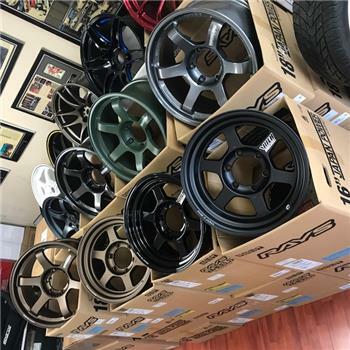 JDM wheels on SALE. All listed in this category are in stock and ready to ship! Volks, Gram Lights, Weds, Work, Advan at extra special prices and in stock! Call us if you have questions or need tech support to verify fitment for your vehicle. Most sets listed here are only 1 set only and will disappear as they sell. Act fast and enjoy extra discounts along with free shipping to the lower 48 states! Additional shipping required outside of the continental United States. Please inquire for shipping quote first.